Next on the work bench are a load of thousand sons, currently being stripped. Last edited by general; 12-21-17 at 01:02 PM. So I've had a few years away from the hobby. A combination of moving house, work issues and general busyness took away hobby tie. I got back into the swing a few months back, and have been slowly chipping away at some stuff. Waiting on the new chaos codex then hopefully get some games in! First up, khornate dark apostle. 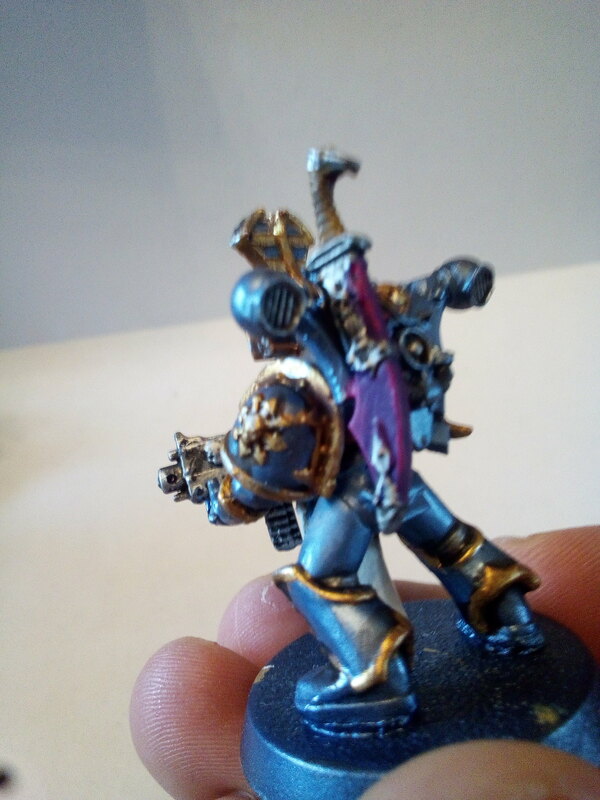 Based on the old chaplain model with a lot of green stuff parchment and some chaos bits. In the new rules, this guy is pretty awesome (from what I've read online), so should be good in games. The sons were stripped and started. 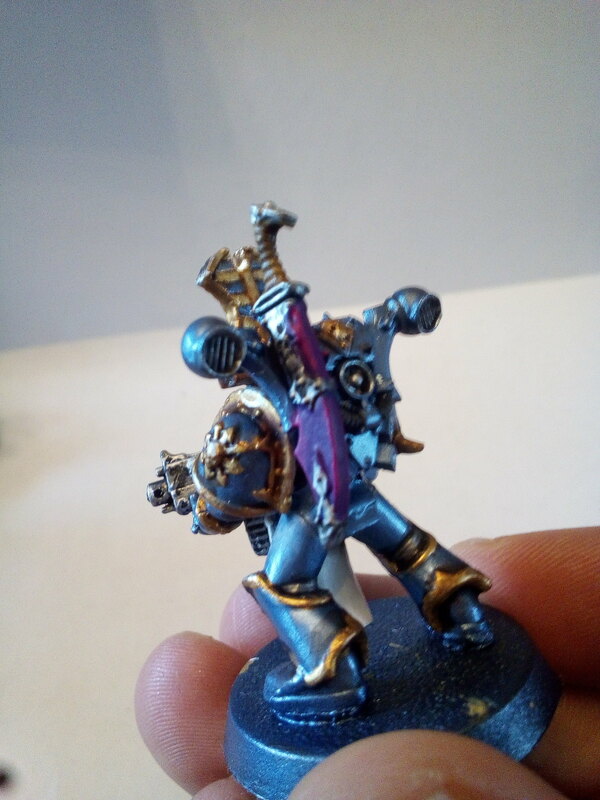 I was aiming for a similar look to Wraithlords awesome thousand sons, but with the new washes couldn't get the colour as drakenoff nightshade looked too grey. I've tried Vallejo blue wash, which was good but not quite right. 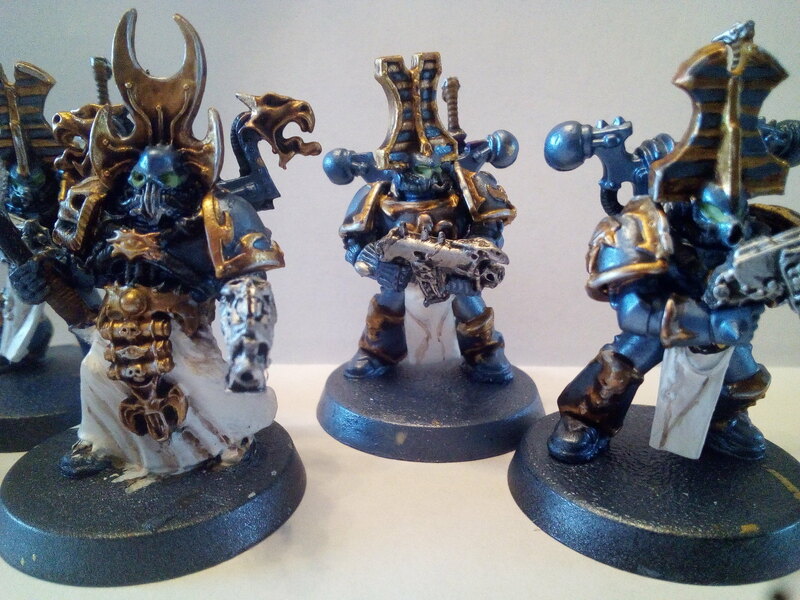 Currently re-stripping the sons, and going to try Vallejo arctic blue (a dark metallic blue) as a base colour. 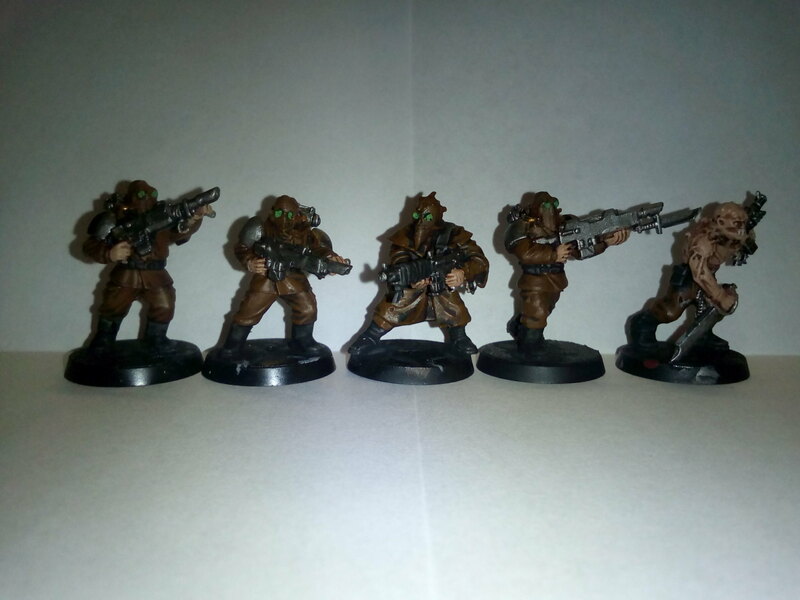 I have however managed to get a load of cultists done. 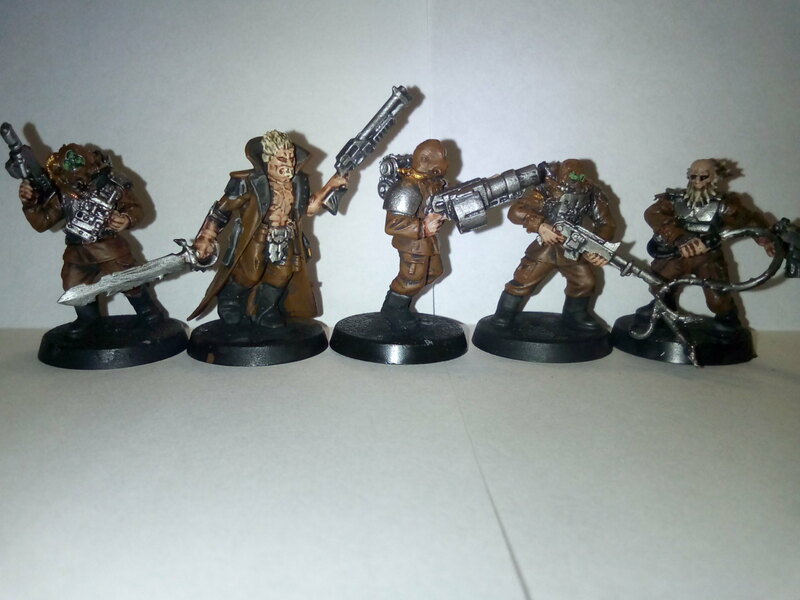 A mix of forge world stuff, random conversions, and normal cultists. Second hand stuff, but useful. Currently up to 48. May try to make 2 more from bits if I can. 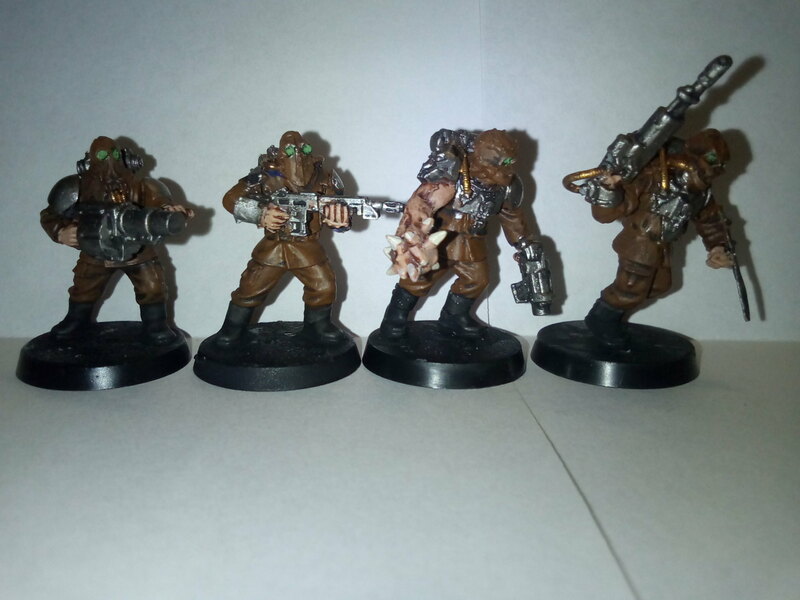 Hoping to buy an airbrush at somepoint, which should make the basecoating easier and quicker so I can get the sons done. They are the old metal/plastic combination, so don't quite scale with the new ones. At some point they will be replaced with the newer ones and only used for apoc/big games, but not going to do that yet. 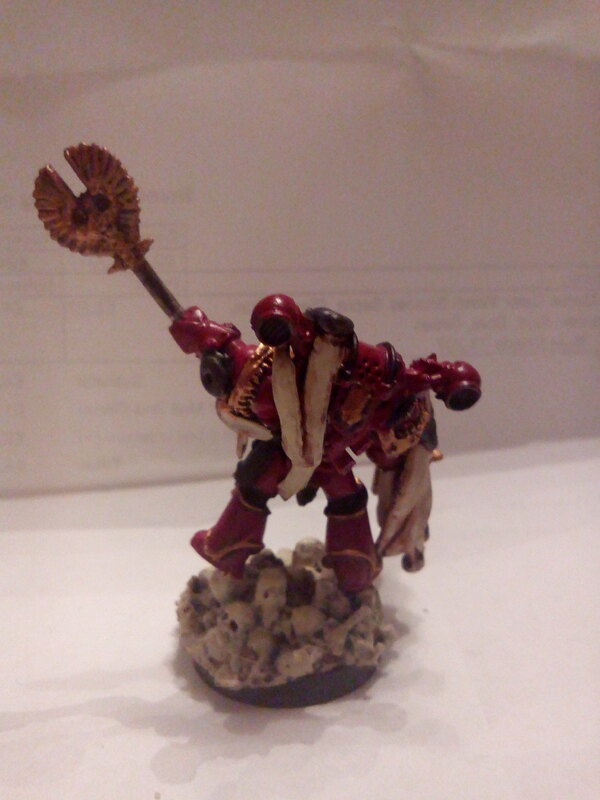 I've also got hold of 2 necrosphinx upper bodys (including arms), and a warsphinx neck and head. 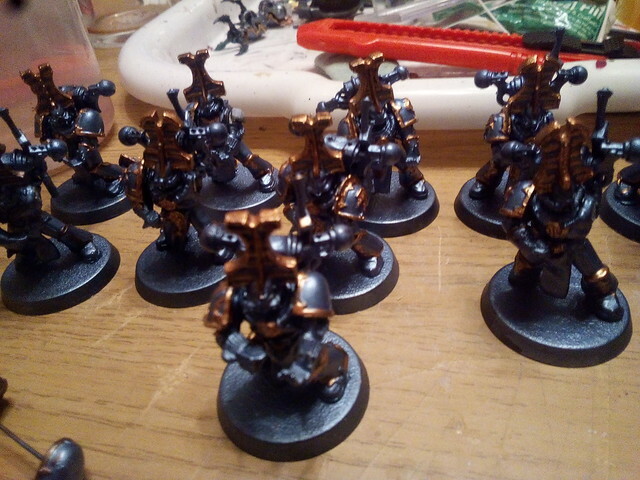 These will eventually be used to make 2 defilers and a forgefiend. 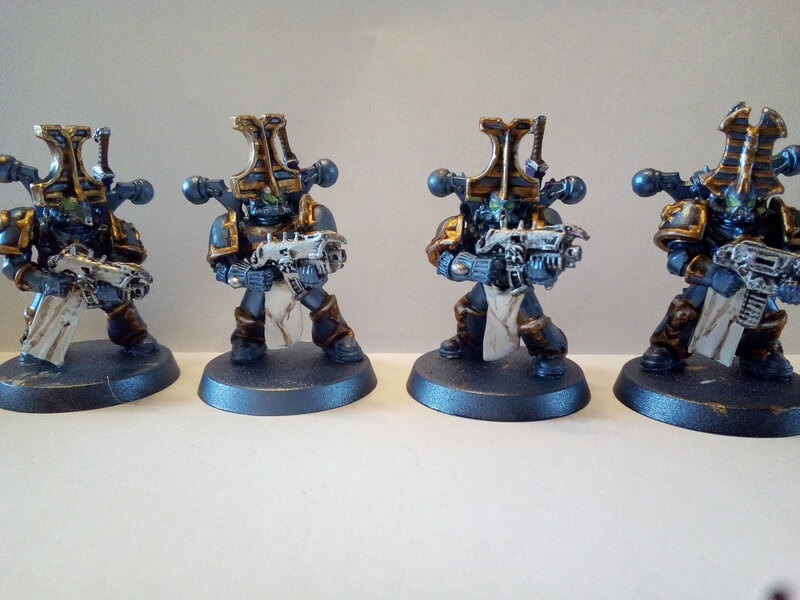 Currently going to use the chaos codex normal marine stats, but will decide once I've got the codex. If anyone reading this knows the height of the new rubrics, could yet say. 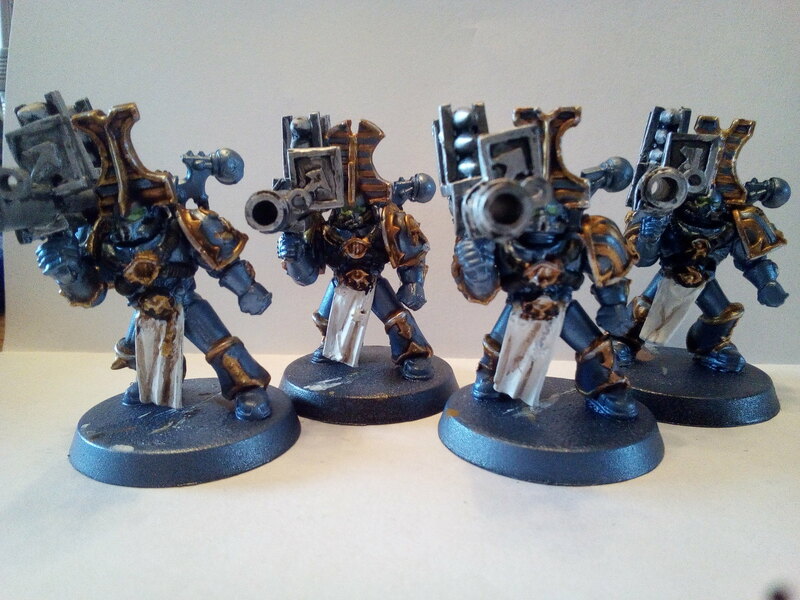 I want to make some terrain and need to know how high to make the floors in the building.n get the sons done. They are the old metal/plastic combination, so don't quite scale with the new ones. At some point they will be replaced with the newer ones and only used for apoc/big games, but not going to do that yet. Last edited by general; 01-14-18 at 05:34 PM. So I finally brought out the airbrush today (a little present to myself at Christmas!). Using Vallego Air Arctic Blue. Nice paint, ideal for airbrushing (at least for a newbie like me!). The flow improver seems to work well, although I didn't try it without! Unfortunately I got over excited and sprayed a basecoat of pure arctic blue on the helldrake, so am stripping it (again!). Got to say the old hybrid metal/plastics, what a pain! 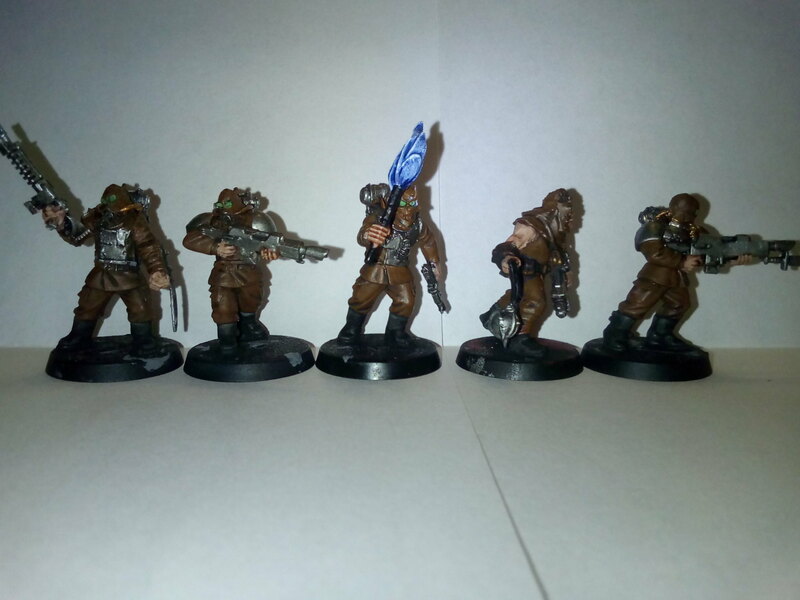 All rebased, ready for spraying (with the new mix). 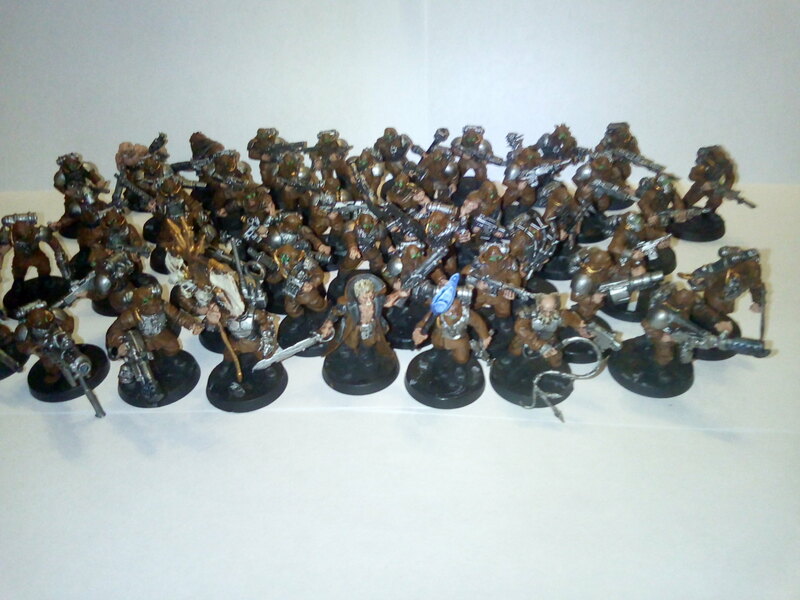 Vallego paints so far seem pretty good. Need to put stuff in the droppers to help mixing, as the 'rolling' method vallego suggest isn't great. Droppers are nice as well. 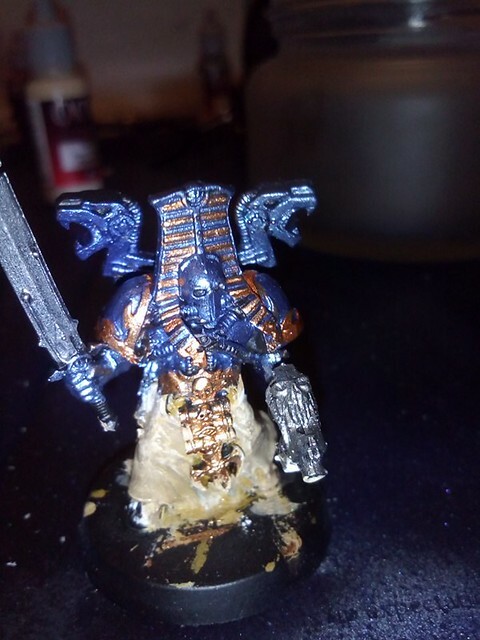 Any thoughts welcome (I know the paint on him needs thinning, he will be stripped a redone properly, this was just to test.). 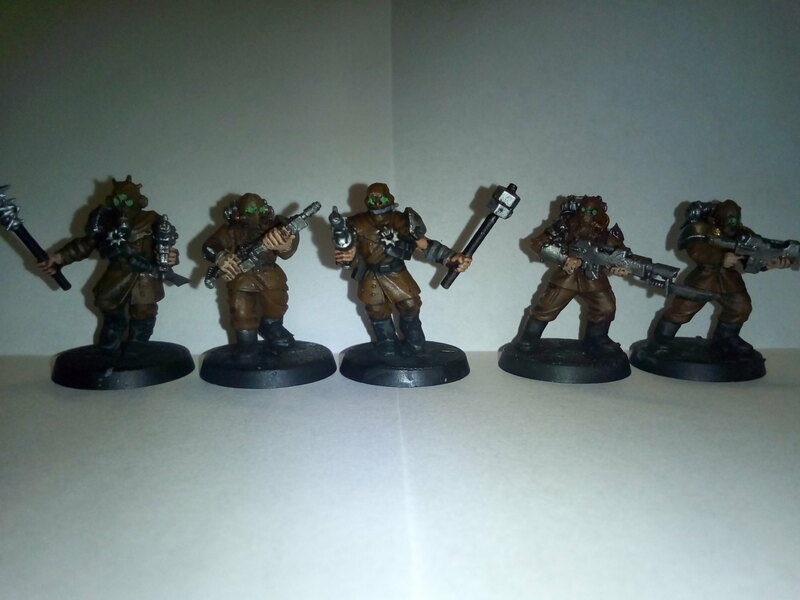 Currently not sure on basing. 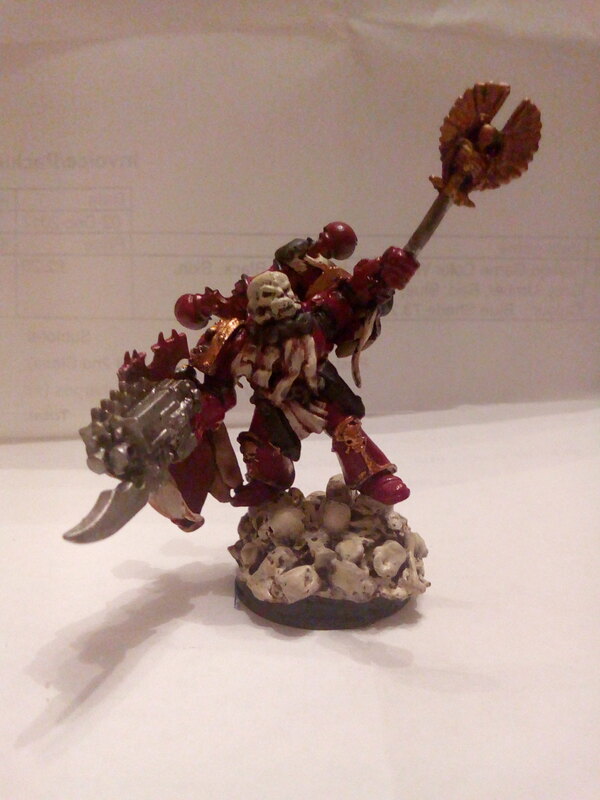 Want it to fit with my world eaters stuff (for apoc size games), but a bit more interesting. 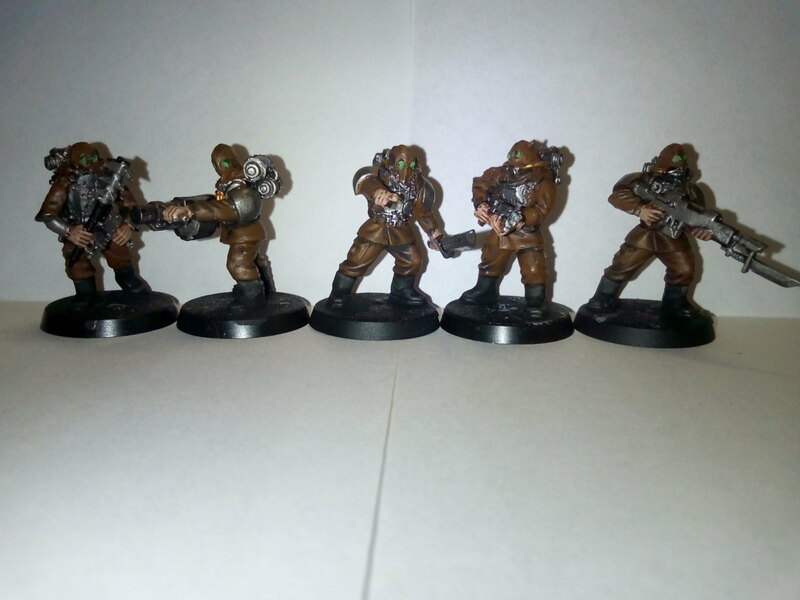 I like the idea of black shale or something, but not sure that would work with the cultists black boots. May to some trial bases on the test piece to come up with some ideas. Possibly Little bits of thin slices sprue, styrene (laid flat, overlapping), painted black with gloss varnish. Aiming for slightly otherworldly. Last edited by general; 02-13-18 at 08:16 PM. So finally found some time to get on with some painting! 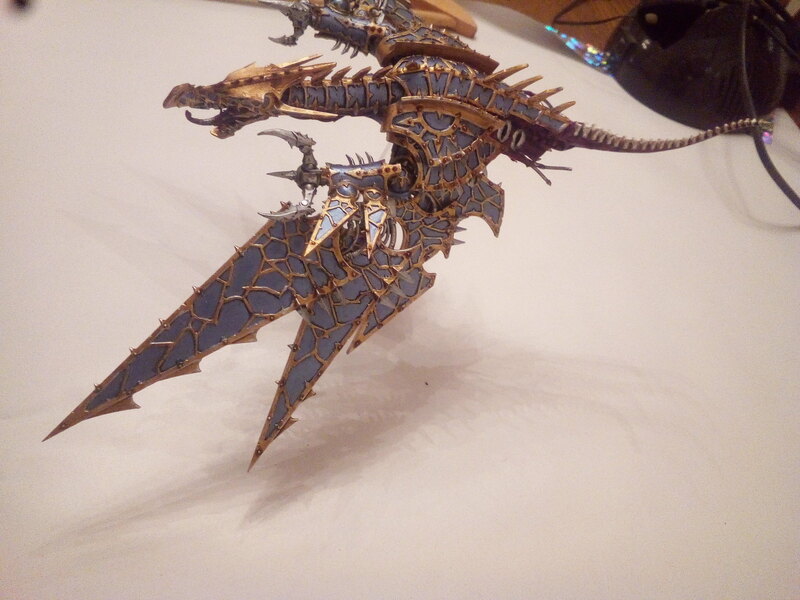 The heldrake is done. Need to add the feet/claws, but this require remaking a claw in GS (lost the original when stripping). 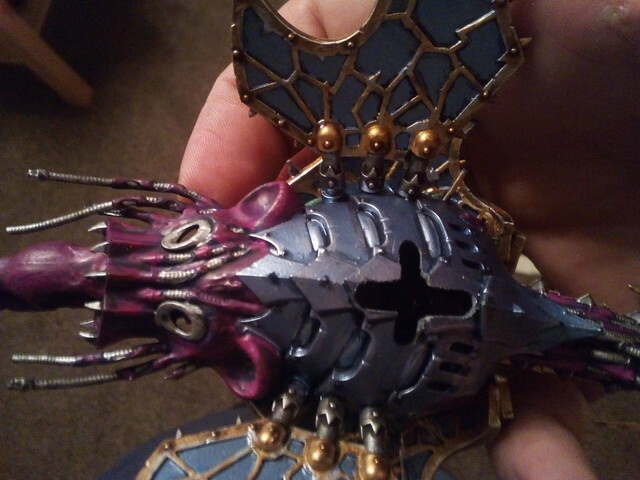 Wings and tail are magnetised to make transport easier. Spines broke off in storage/transport when moving house, but I have a plan for that. After all what's better than a giant robotic dragon? 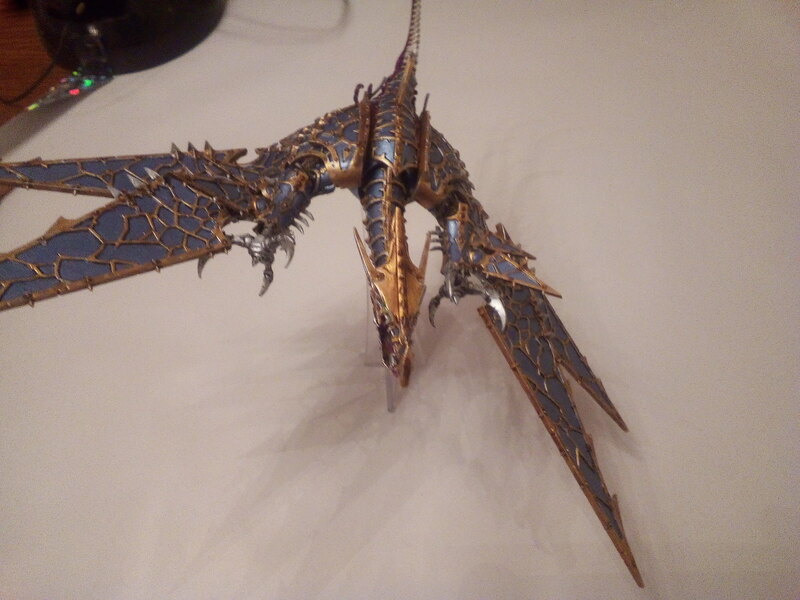 A giant robotic dragon with a frickin sorcerer on its back! 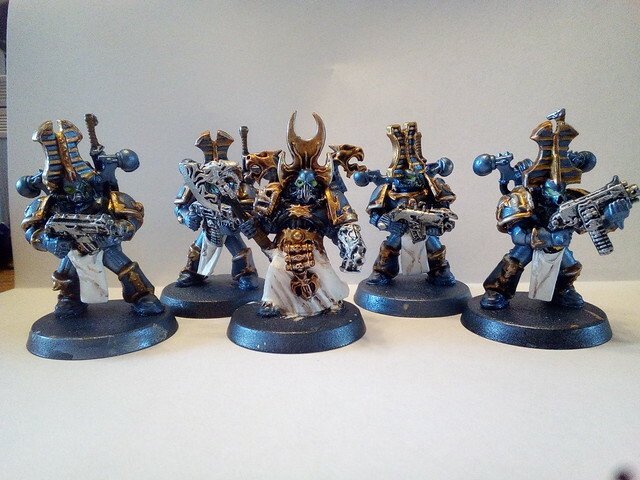 Hoping to get hold of a maulerfiend and exalted sorcerers next month.Deffilers to be scratchbuilt using old necrosphinx bits. 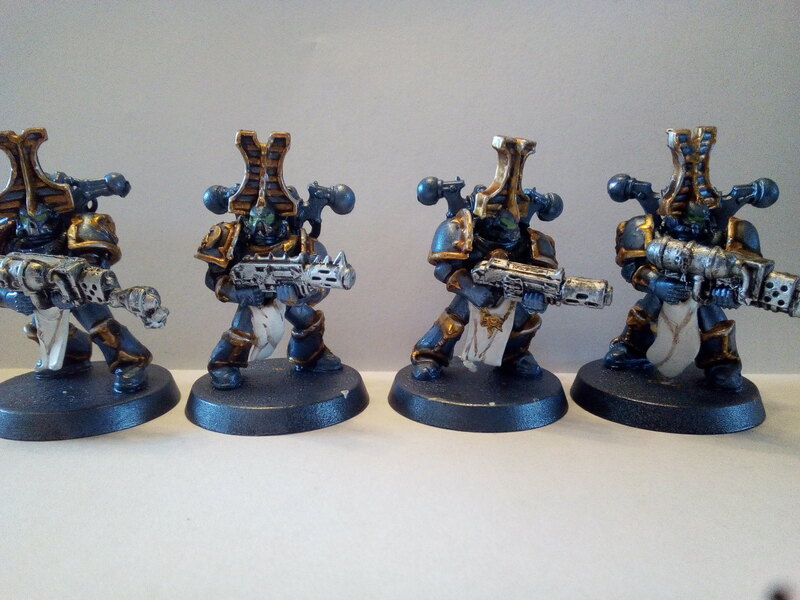 Rubrics are getting there, They are the old metal/plastic hybrids, with some converted havoks. 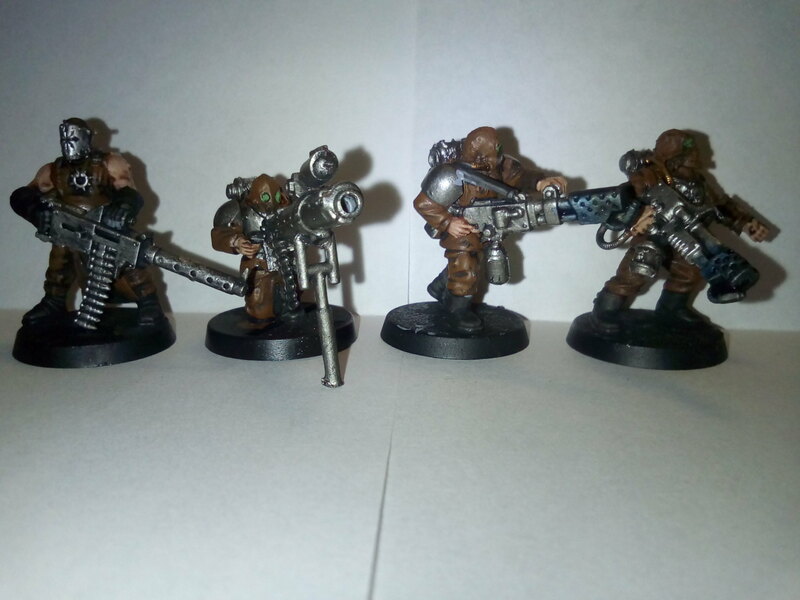 Will be used as rubrics, with the missile launchers counting as soulreaper cannon for now. 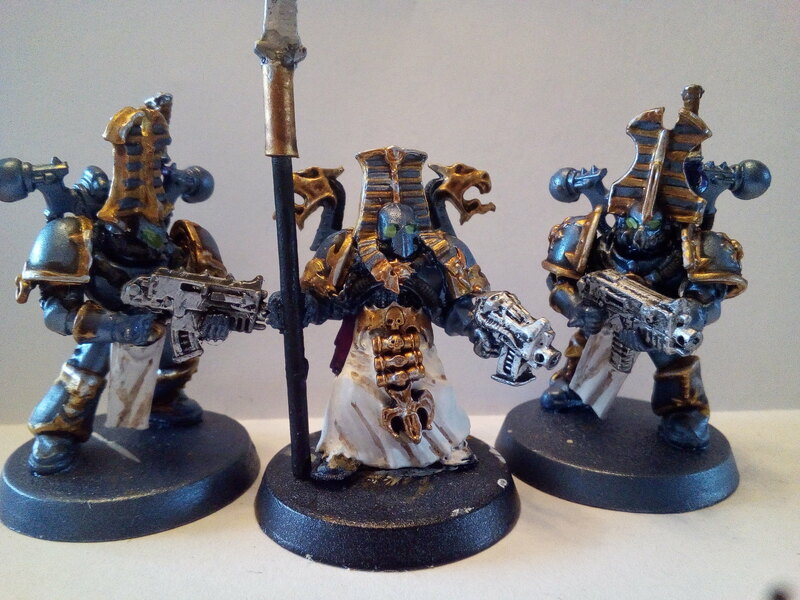 Hoping to get hold of a maulerfiend and exalted sorcerers next month.Defilers to be scratchbuilt using old necrosphinx bits. Kinda a animated statue/deamon engine look. Not sure what I want to do for tzangors. 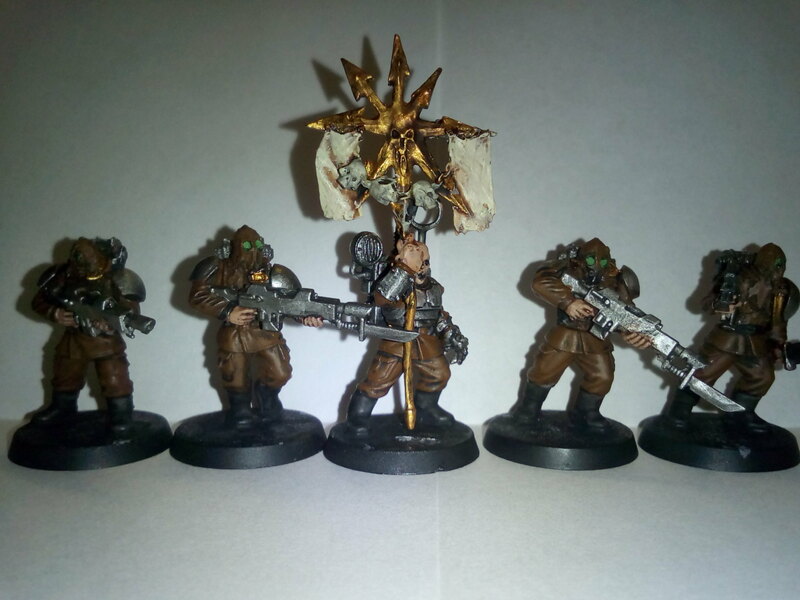 Not that I don't like the GW models, but want to do something different. Ideally along the magically animated statue vibe. Last edited by general; 09-22-18 at 09:23 PM. Rubrics are done bar a few tweaks/tidying. Overall pretty happy. Blue could be smoother, but not helped by repeated stripping/repainting. 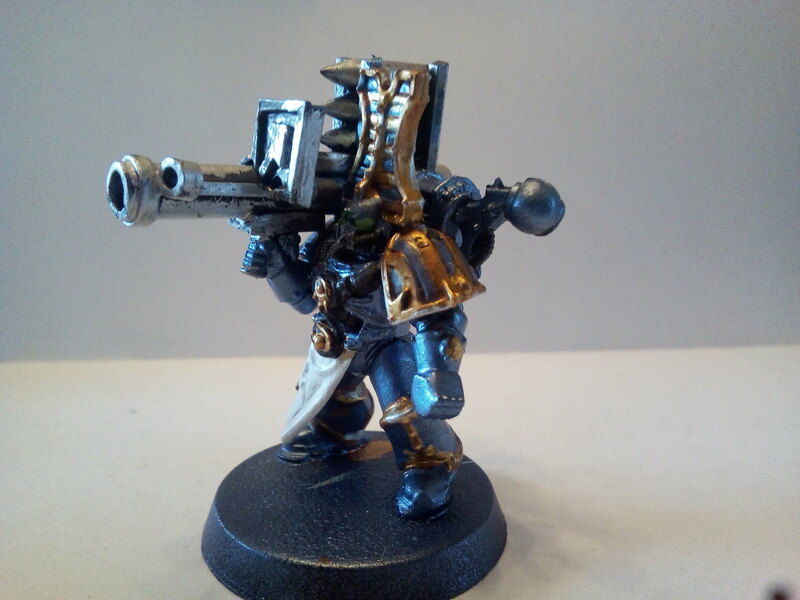 Originally for use with the old CSM codex (tsons but use normal CSM stats). 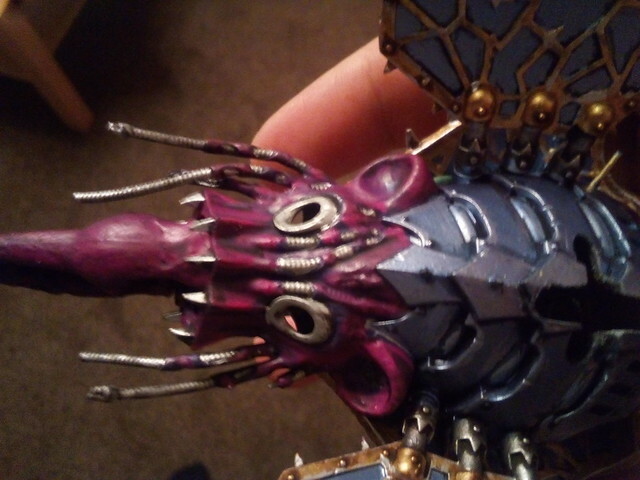 Next steps (after tiding etc) is getting a maulerfiend fully magnified. Some have special weapons, so to make it easier to differentiate. Also the idea of rubrics slowly advancing firing, then at the hiss of a sorcerer they switch weapons, the 'shving' (yes made up word!) of metal coming out of scabbards seems cool to me. The plan for bases is lava effect. Wish I'd decided this before sticking to bases, but ah well! 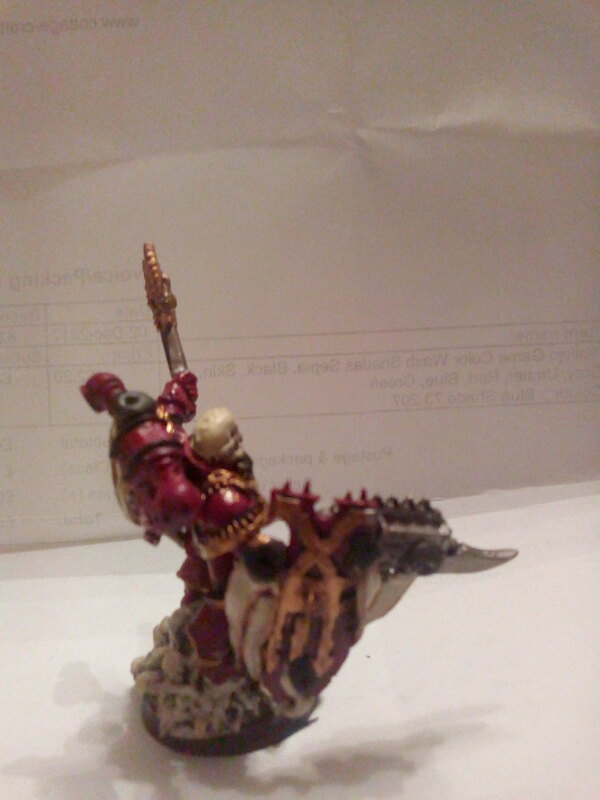 Khorne's Fist, Old Man78 and mrknify like this. Last edited by general; 10-14-18 at 12:26 PM. 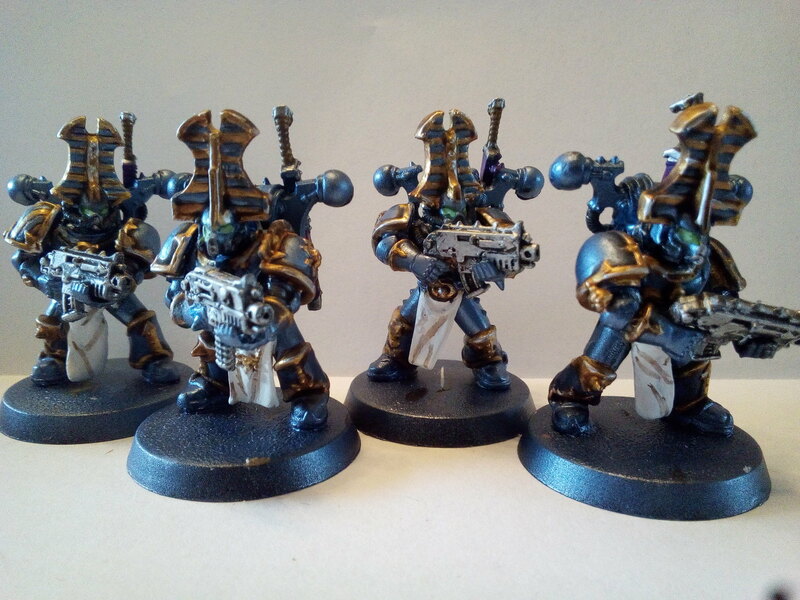 They are looking quite good, can't wait to see the bases. Q: if you still run Heldrakes, how are they? Thanks. Not sure yet, haven't had a chance to play many games recently. Time will tell! I've got 2 I've had for a few years, eventually I'll build them.